Turkey Red wheat was brought to American prairies by the Mennonites from Russia in the 1870's. 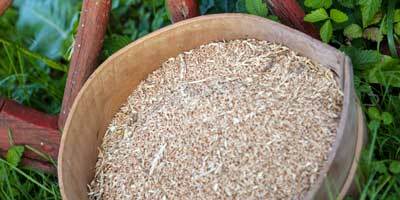 Turkey Red is a hard winter wheat that has a unique, rich and complex flavor. In the 1940's it was replaced by modern higher-yeilding cultivars. Saved by a small group of farmers in Kansas, this rare wheat is now grown in Old Fort for Crooked Creek Mills.